COLUMBUS, Ohio — Lake Erie anglers have the chance to experience excellent fishing opportunities on Lake Erie in 2019, according to a news release Friday, March 29 from the Ohio DNR Division of Wildlife. Walleye angler harvest rates set records in 2018, and numerous large hatches point to a bright future, according to the release. 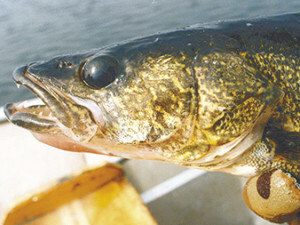 Walleye anglers will mostly catch abundant 4- to 5-year-old fish that will average 19 to 21 inches and could be as large as 26 inches. Abundant young fish from the 2017 and 2018 hatches will show up in anglers’ catches ranging from 9 to 14 inches. Anglers are encouraged to release these sub-legal fish with as little handling as possible so they can contribute to the fishery in the future. Smallmouth bass and largemouth bass fishing in 2019 should provide both good catch rates and trophy size opportunities. Note that new regulations were implemented for largemouth and smallmouth bass for the 2019 fishing season. The previously closed spring season now allows the harvest of one black bass per day, with a minimum size limit of 18 inches from May 1 until the fourth Saturday of June (June 22), and the daily bag limit will continue to be five black bass per day with a 14-inch minimum size limit the remainder of the season through April 30, 2020.